A good brand still trumps good companies with consumers. I just scanned the GlobeScan paper RE: Thinking Consumption and came across this chart. 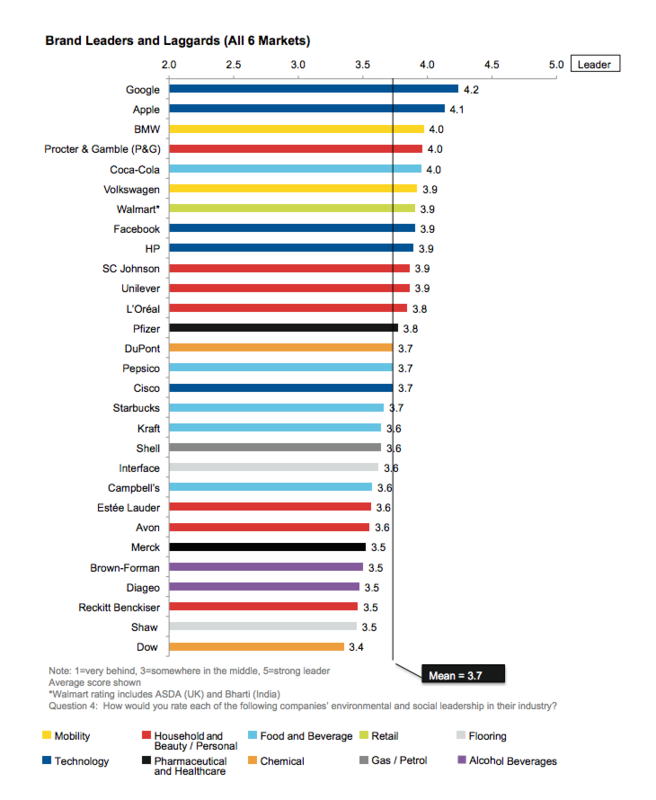 Yet, Interface (one of the recognized leaders) still comes after Shell and a host of others that are far from being considered leaders in sustainability (or good) are leading the charts.